I have a feeling that boredom’s outlawed in Queenstown. We arrived in QT with no clear plan, yet in a matterof minutes, we were able to come up with a jam-packed itinerary for our next 3 days. 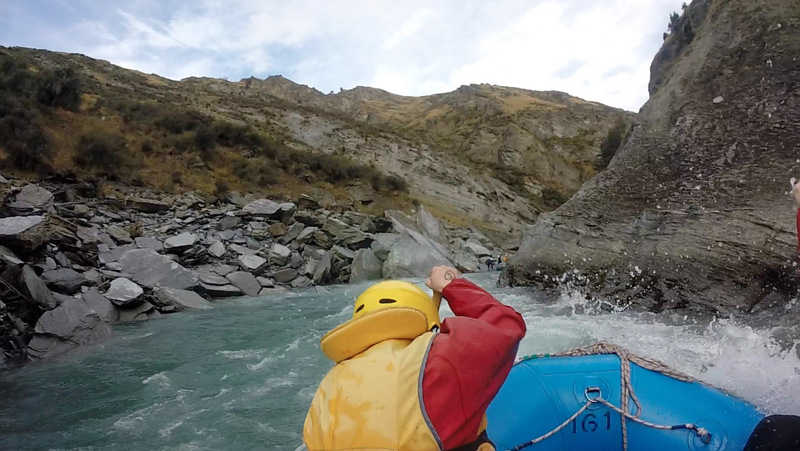 The skies weren’t so clear on Day 1, so even if we were so eager to hop on a plane and hurl ourselves off, we decided to stay grounded — or rather drenched and half-immersed — on a day’s outing in the Shotover River. Ever since I discovered that my feet had a huge propensity for abuse, I’ve loved loved LOVED wandering afoot. But then again, there are some things that *might* just look better when gazed upon from above.